Michael, Grace & the kids go back to the Four Seasons Hotel in NYC. Janet is presented with the Merit Award at the American Music Awards. Later she shows up at the After Party with Jimmy Jam. Janet is on the cover of Jer magazine. Janet completed the recording of her new album in L.A.
She attends Lisa Marie Presley birthday party. Janet rehearses and shoot the video for her new single All For you directed by Dave Meyers and feauturing a new group of dancers (The Kids) including Shawnette Heard, Gil Duldulao & Kelly Konno. Michael hosts a party for Prince’s 4th birthday in NYC. Michael gives a press conference for Heal The Kids at the Carnegie Hall in New York with Shmuley Boteach & Frank Cascio. The song All For You is released to radios around the world. Michael arrives in London on crutches after injuring his foot. He is accompanied by Frank Tyson & David Gest. Michael goes shopping with Macauley Culkin in London before attending the launch party of Shmuley Boteach & Uri Geller’s book at the Royal Institute of British Architects. Janet is on the cover of TV Guide magazine with an interview and new photos. Michael goes to the Oxford University to give a moving sppech about childhood. Frank, Uri, Schmuley & german business partner Dieter Wiesner attend the event. Michael is Uri Geller’s best man at his wedding celebrated in the Berkshire by Schmuley Boteach. In the evening he attends the 10th annual Michael Jackson Day held by Adrian Grant at the Hammersmith Apollo Theatre. Michael & Frank spend the week end in the Italian Alps before returning to New York. Janet is the first artist to be honored with the MTV Icon Award during a TV Special on MTV. Janet attends the show taping in L.A along with Terry Lewis, Jimmy Jam, Katherine & Joe, Missy Elliot, Britney Spears and many others. Several artist pay tribute to Janet with speeches by Stevie Wonder, Aaliya and performaces by Macy Gray, The Destiny’s Child, Usher, Pink, Mya & Nsync. At the end, Jermaine, Jackie, Marlin & Tito go on stage to congratulate Janet and MJ appears via a prepped video. Janet & The Kids perform All For You for the first time. March 12 :Janet is a guest on Late Show With David Letterman in NYC. MTV Icon honoring Janet Jackson is aired on MTV. “All For You” is released as the 1st single from “All For You”. Janet performs All For You at the Echo Awards. N’Sync induct Michael in the Rock & Roll Hall Of Fame as a solo artist during a special presentation at the Waldorf Astoria Hotel in New York . Michael invites Frank “Tyson” Cascio and Shmuley Boteach as his guests. Janet performs All For You at Late Night With Luuk in Stockholm. Janet & the Kids arrive in Paris. Janet & the Kids go to Paris famous night club Les Bains. Janet gives many interview in her Parisian hotel. Michael goes to Newark ( New Jersey ) with Frank & Schmuley to distribute books to children under Heal The Kids. Some time later, Michael & Shmuley have a fallout and Heal The Kids Foundation is dismanttled. Janet performs All For You at Graines De Star before leaving for London. Janet performs All For You at Top Of The Pops. Janet gives an interview to BBC Radio 1. 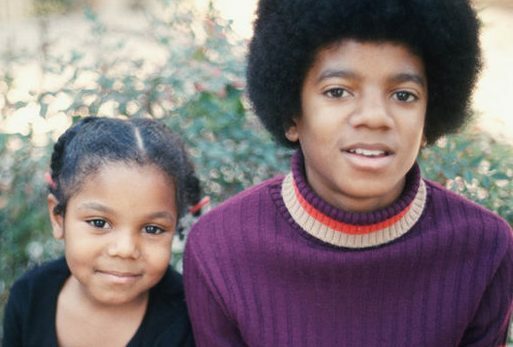 Michael, Grace & the kids spend 2 weeks at Teddy Riley’s home in Virginia where he & Michael work on Invincible. Then they go back to NYC and check in the Plaza Athébée Upper East Side. Janet & the Kids go back to Paris. Janet performs All For You at Tapis Rouge. Michael hosts a party for Paris 3rd birthday at Teddy Riley’s home in Virginia where he & Michael work on Invincible. Frank Cascio joins them. Janet gives an interview to NRJ Radio. Janet performs All For You on Hit Machine. She gives interview to French shows Fan De, Plus Vite Que La Musique, Exclusif & Celebrities. She is a guest on Nulles Part Ailleurs, live on Canal +. Janet gives an interview on Fun Radio and then she leaves Paris. Janet performs All For You at the TMF Awards in Rotterdam. Janet performs All For You at Quelli Il Calcio in Milano and the she flies back to NYC. Janet introduces Aretha Franklin during the VH1 Divas Show in NYC. Janet is a guest on MTV’s TRL and BET’s 106 & Park in NYC. In Toronto, Janet is a guest on Much Music TV show. The album All For You is released in Europe. The album All For You is released in the US. Janet is a guest on NBC’s “The Tonight Show With Jay Leno” live from Burbank,California and Prime Time Live with Diane Sawyer. Janet is on the cover of VIBE magazine. Michael, Frank, Grace & the kids check in the Sheraton Bel Harbour in Miami Beach where Michael completes the recording & mixing of Invincible with Bruce Swedien, Rodney Jerkins & Teddy Riley. Michael meets Dr Alex Farshchian who becomes his personal physician. Michael meets comedian Chris Tucker through Gavin Arvizo. Michael & Chris become friends and record a new version of Don’t Stop Til You Get Enough for the soundtrack of Rush Hour 2. Janet shoots the video for Someone To Call My Lover directed by Francis Lawrence. JD also shoots his part for the video remix. Janet celebrates her 35th birthday in Anguilla where she is reharsing for the new tour with the Kids. Michael hires F. Marc Schaffel and they create a new company Neverland Valley Entertainment with a common bank account. Janet & the Kids continues to rehearse the new show in Vancouver. Michael goes to the Hit Factory studio in New York to present his new album called Invincible to Sony excecutives. He wants the song “Unbreakable” to be the first single but Sony insists for the song “You Rock My World” and Michael accepts. He starts to work on the video with director Hype Williams. The video for Someone To Call My Lover is premiered on MTV. “Someone To Call My Lover” is released as the 2nd the single from “All For You” and reaches number 3 on Hot 100 Billboard. Michael gets on stage at the end of the Summer Jam Concert festival in Long Island to hug rapper Jay-Z with whom he has just done backgound vocals For his song Girls, Girls, Girls. Michael goes to Miami with Bruce Swedien to complete the final mixing of Invincible. Dissatisfied with the video concept of Hype Williams, Michael hires Paul Hunter to direct You Rock My World. He starts rehearsing for 2 concerts produced by David Gest and scheduled for september 7 & 10 in New York to Celebrates his 30th Anniversary as a solo artist. Live from Vancouver, Janet is a guest on CNN’s Larry King Live. Janet is on the cover of Essence magazine with an article she wrote about herself. In a Los Angeles dance studio, Michael starts rehearsing a medley with his 5 brothers for the upcoming New York concerts. Michael shoots the “You Rock My World “short film in Los Angeles directed by Paul Hunter and featuring Chris Tucker and a special appearance by Marlon Brando! Janet is a surprise guest on MTV’s TRL in NYC. After several leaks, the song You Rock My World is finally released as the 1st single from “Invincible”. Michael celebrates his 43rd birthday at the Cascio family home in Franklin Lakes, New Jersey. He is also presented with a birthday cake and a Shirley Temple poster. Michael goes to the Madison Square Garden to rehearse his duets with Britney Spears, Whitney Houston & N’Sync. In the evening, he makes a surprise appearance at the MTV Video Music Awards Ceremony to dance with N’Sync at the end of their performance. Janet attends the MTV Video Music Awards with Gil. Along with Missy Elliot, she pays tribute to Aaliyah. 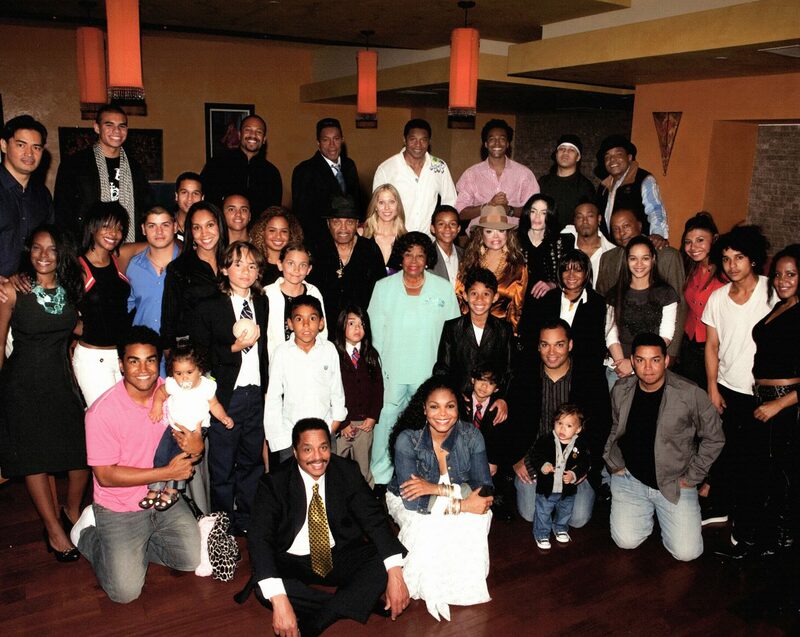 While in NYC she visits the Jackson family who is in town for Michael’ concerts at the Madison Square Garden. It’s Michael’s day in New York City ! All the biggest stars of music, films & sport gather to attend his concert at the Madison Square Garden . Michael arrives late with Elizabeth Taylor and during the first part of the show he watches tributes perfomances of his songs by today’s biggest artist in a VIP section with all his family & friends (Joe, Katherine, Rebbie, Macauley Culkin, the Cascios, Gregory Peck, Mark Lester & many more) while other friends such as Liza Minelli or Marlon Brando pay him respect on stage. During the second part of the show, Michael performs a live medley with the Jacksons (joined by N’Sync on Dancing Machine), + The Way You Make Me Feel in duet with Britney Spears, Billie Jean, Black Or White with Slash, You Rock My World & We Are The World with Quincy Jones, Yoko Ono and many stars. After the concert, Michael attends briefly an after party held at the Tavern On The Green. Michael performs a second concert at the Madison Square Garden . At the end of You Rock My World, Usher & Chris Tucker gets on the stage to dance with him! Backstage, Michael has an argument with Corey Feldman over his plans to write a book on their friendship. After hearing of the terrorist attacks in New York , Michael orders a bus for his family to return in California and limousines for his close friends. He leaves New York with Grace, Prince & Paris and they go at the Cascio family house in New Jersey. Janet postpones several concerts because of 9/11. Michael annouces that he is going to record the song What More Can I Give with many artists for the victims of the terrorist attacks in New York . The song is produced by Marc Schaffel for Neverland Valley Entertainment. The video for “You Rock My World” is premiered in Europe . Michael records the song “You Are My Life” with John Mac Lain in Los Angeles and he likes it so much that he decides to add it at the last minute to the tracklist of Invincible! Janet & Missy Elliot shoot the video for Son Of A Gun directed by Francis Lawrence in Los Angeles. Janet announces the cancellation of her European tour due to 9/11. Katherine, Joe & LaToya attend Janet’s concerts in Las Vegas. The single of You Rock My World is released in Europe and becomes a huge hit. Michael shoots a scene for the movie Men In Black 2 directed by Barry Sonnefield where he plays Agent M.
Michael is in Washington DC where he participates at a TV concert for the victims of September 11. He performs Man In The Mirror and at the end, he sings What More Can I Give with all the artists of the night (including Usher & Mariah Carey) Prince, Paris, Macauley Culkin, the Cascios, Kenny Ortega & Marc Shaffel attend the concert backstage. Michael records a Spanish version of What More Can I Give called Todo Para Ti. Michael participates in an online/audio chat with his fans hosted by Yahoo & Get Music. Worldwide release of the album Invincible. For the first time in his career, Michael makes an appearance at the Virgin megastore of Times Square in New York to promote and sign copies of Invincible. He is accompanied by Frank & Eddie Cascio + his make up artist Karen Faye. He also gives several interviews to the TV shows TRL (MTV), Entertainment Tonight (CBS) et 106 & Park (BET). Michael is on the cover of TV Guide with an exclusive interview and pictures. Entertainment Tonight airs the first footage of the What More Can I Give video. The song is ready but Sony doesn’t want to release it. They also refuse to put commercials for Michael’s new album during the airing of his concert on CBS. CBS broadcasts an edited version of Michael’s concerts at the Madison Square Garden and gets great ratings. Michael makes a photoshoot with Prince & Paris at Neverland for an upcoming VIBE magazine coverstory with photographer Jonathan Exley. The single “Cry” is released in Europe while Butterflies is played on US radios (with a remix featuring rap artist Eve). Michael does not appear in the video. Live from the MGM Grand Hotel in Las Vegas, Puff Daddy & Missy Elliot present Janet with a special Award of Achievement during the Billboard Awards ceremony. “Son Of A Gun” is released as the 3rd & final single from from “All For You”. Michael gives an interview to USA Today. Michael gives an interview to the Steve Harvey Morning Radio Show. Later he attends the KIIS-FM Jingle Ball Concert in Los Angeles where Rick Dees & Magic Johnson present him the Legend Award. Michael celebrates Christmas at Neverland with the Cascios, the Bhattis, Prince & Paris.